So you are thinking about having a Vancouver Bachelorette Party? Before you start booking anything make sure you read our extensive guide to help you plan this amazing ladies weekend. We will provide you with the best places to go, things to do, where to stay, where to eat, what to bring, and much more. The best part is we constantly update this article to make sure it has only the latest and best recommendations, which will take your trip planning skills to another level. Assuming you do not live in Vancouver or a surrounding city, the best option for getting to this wonderful city would be via airplane. When booking a flight for your Vancouver bachelorette party you will want to select Vancouver International Airport (airport code: YVR) as the destination. Expect to pay around $200 for a round-trip ticket if you are coming from Los Angeles, $310 if you are departing from New York City, $140 from Houston, and about $300 if you are leaving from Miami. Make sure you pick a non-stop flight if available, and one that arrives in the morning so you don’t lose a full day of fun while traveling. We recommend using orbitz.com when booking your flights as they have the best prices and availability. Once you have arrived, you will need to get from the airport to your hotel or rental house. The easiest and most affordable option would be a taxi or shuttle van. 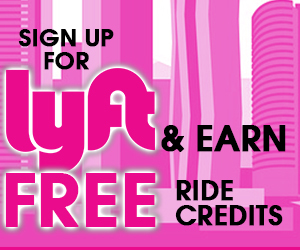 Unfortunately, ridesharing services such as Uber and Lyft are not currently available in Vancouver. Expect to pay about $35.00 + tax (not including gratuity) for a taxi from the airport to downtown, where most of the hotels and activities will occur. If you are looking for a reliable local Taxi service, you should go with MacLures Cabs. 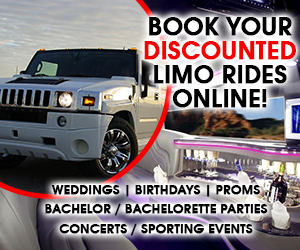 Another great option for getting around the town and bar hopping would be to rent either a limo or party bus. If you decide this option is best, you should contact Vancouver Party Buses and Limousines to help book your ride. Their fleet includes a 13-person pink SUV limo, a standard lincoln limo, or their party buses which are all different sizes and can fit between 22-48 people. Your final option would be to rent a car, which is not recommended due to the amount of drinking that will be going on. Women tend to be more responsible than men, so if you really can designate a chauffeur for your group of friends, book a rental car with a reputable company like Enterprise Car Rental. If you are looking to just walk around, take in beautiful scenery and become acclimated with nature, we recommend taking a trip to Stanley Park. This this the 3rd largest park in North America and gets about 8 million visits per year. There is a 5-mile path for running, tons of trails to explore, and is also the home of an aquarium, nature center, and recreational facilities. If you want to view the beauty of Vancouver from the sky, we recommend booking a Classic Panorama Airplane Tour. You and other lucky visitors will take off from downtown harbor (yes from the water) and experience a 20-minute ride (30 min tour, 20 min flight) which will show you the city’s beautiful mountains and skylines. There are three departures per day and the cost is $88.00 per person. If you have an issue with motion sickness, make sure you load up on motion sickness remedies before taking off, as the ride could get bumpy. If you want to explore many different places at once, you and the ladies should opt for a day pass on the Granville Island Ferry. This ferry runs every 5-15 minutes and makes stops at Granville Island, Science World, Chinatown, the Maritime Museum, and the Aquatic Center. This will give you an entire day to explore different shops, dining options, and become familiar with the area. The cost for a pass is $16.00 per person. Another favorite excursion amongst tourists is the Whale Watching Tour. You will see all different types of sea animals such as Orcas, porpoises, sea lions and seals. The tour even includes hydrophones so you can hear the whales communicate with each other. The tour starts at 9am in the morning and will last most of the day. It is recommended you arrive at the meeting point 60 minutes prior to departure. Be sure to get a waterproof case for your phone so you can take some amazing pictures along the way. The cost is $104.00 per person. If you are into ghosts and spirits you should definitely book the “Lost Souls of Gastown Walking Tour.” This tour will discuss the history of Gastown, along with all it’s haunting tales from the past, from smallpox to fires. You will walk to various historic sites along this area and have plenty of photo opportunities (maybe even see a ghost). This popular 90-minute tour will cost $28.00 per person and should be booked in advance. Keefer Bar located in Chinatown is the ultimate craft cocktail den. Their menu which consists of amazing “Remedies & Cures” takes the ordinary drink to a much higher level. Each speciality cocktail can be infused with anything from bitters, herbs, seeds, spices, to fruits and vegetables. They also offer happy hour from 5pm to 7pm Sunday – Friday which will give you discounted drinks and 50% off selected food items. If you end up at Keefer bar, make sure the group orders the spring rolls for small bites and a round of Opium Sours to drink. Another great option for the ladies would be the UVA Wine and Cocktail Bar, which is located in downtown Vancouver. With a mix of cocktails, amazing wine, and import beers, there will be something for everyone. UVA has happy hour daily from 2pm-5pm. Don’t forget to order a charcuterie for the table, as there is no better combination in the world than wine, cheeses, and breads. If you decide to go with drinks instead, you should go with either the Passionately Nuts or the Sweet Kisses. If your girlfriends are not into the fancy drinks and want to just drink beer, you should make you way over to Granville Island Brewery. This is a great place to grab some snacks, have some beer, and catch up on all the gossip. Their honey lager and raspberry ale tend to be popular with the ladies. If you want to compliment your drinks with food, make sure you order the Vegetarian Pizza or the pork tacos. You can also take a tour of the brewery which includes a tasting of 3 beers for a cost of $9.75 per person. A great option for your bachelorette party would be to take in a burlesque show. This will include tons of laughing, entertaining, and bonding with your friends. Kitty Nights Vancouver continuously ranks at the top for best burlesque show in Vancouver. The tickets will run you about $12-15 per person for the show. Shows usually begin at 9pm and you must be 19 years old to attend. If you would rather just have a party at your rental house or hotel, contact Raphael Exotic and find out rates for a private party. This tends to be funny amongst groups especially when you see the nervous face of the future bride while she is getting a lap dance. Make sure if you choose this option make sure there is a lot of alcohol flowing to ease up the awkwardness. Also remember to ask a lot of questions and keep safety in mind when hiring a stripper for your bachelorette party. These restaurants are bachelorette party friendly and have great reviews from other travelers. 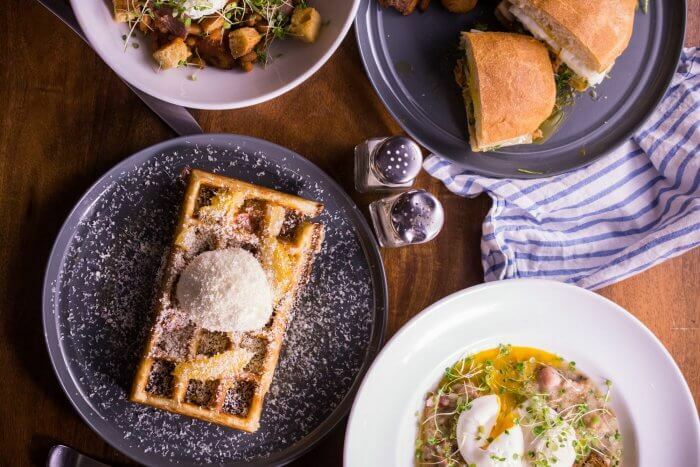 Twisted Fork Bistro – This great brunch spot is located at 1147 Granville Street, and open for brunch daily from 8am – 3pm. Make sure you order either the Eggs Benny or Vegetable Hash and poached eggs. They also offer champagne and vodka drinks to help you battle your hangover from the night before. Expect a short wait during the weekends as this restaurant is popular. Chambar Restaurant – Another “you can’t go wrong” option for either breakfast or brunch. Located at 568 Beatty Street this restaurant is open for breakfast, lunch and dinner. You will definitely want to order the waffles or the Brochette de Porc. They also offer an extensive list of wine, champagne, beer and cocktails. Catch 122 Bistro which is located at 122 W Hastings St, is open from 9am-3pm daily and takes reservations during the week, but is first come, first serve on the weekends and holidays. They have an extensive brunch menu which includes popular items such as the Frittata (add smoked chicken), breakfast sandwich, grain salad, and granola parfait. They also do glasses of champagne with either orange juice or mango juice for $7.00. Miku Vancouver is a great dining choice if you are interested in Seafood and Sushi. Located at 70-200 Granville Street they serve dinner 7-nights a week from 5:00pm – 11:00pm. If the ladies decide that this is where you will have dinner, make sure you order the beef carpaccio, calamari, prawn cocktail, and the red wave roll, which all seem to be very popular with past guests. You can also opt for the Sashimi Platter which will cost $25.00 per person. West Restaurant is a great option if you are more into regional cuisine as their menu features items sourced locally. This restaurant is considered fine dining so you will definitely want to dress to impress, and you should expect to pay upwards of $100 per person for food and drinks. Some of their amazing food choices includes west coast oysters, crispy duck salad, roasted link cod, You can also ask for the chef’s tasting menu which will cost about $125 per person (non vegetarian) and $98 (for vegetarian). You can also pair wine with each course which would be an added amount. They serve dinner 7-days a week from 5:30pm till closing. Five Sails is another great option for dinner and would also be classified is finer dining which means the cost and dress code will be enforced (which is never a problem with ladies). Located 999 Canada Place, Five Sails serves dinner from 5:30pm – 10:00pm (7-days a week). Make sure you order the tuna tartare, hot/cold seafood platter for the table appetizers, and the dover sole or duck breast for entree. They also offer a tasting menu which starts at $155 per person and includes wine with each course ($57 per person for wine, $98 per person for 6-courses). Whether you decide on a hotel or rental house, Vancouver offers tons of accommodations for your bachelorette party. 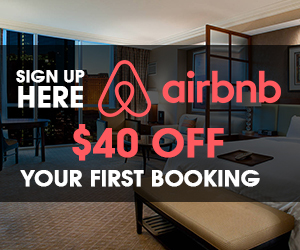 We recommend that if you are booking a hotel, you choose hotels.com and if you are booking a rental house either Airbnb.com, Homeway.com, or VRBO.com. As a last option you can also check out Craigslist to rent a house for your bachelorette party. Granville Island Hotel is a great hotel option and is actually ranked as a top hotel by Hotels.com. This hotel is located on Granville Island which features various restaurants, bars, and breweries. The hotel is about 6-miles from Vancouver airport and will cost you about $198.00 per night based on double occupancy ($99 per person per night, unless you can squeeze 4 to a bed). Westin Grand Vancouver is another great hotel located downtown. Has all the amenities you would need such as on-site restaurant, outdoor pool, gym, spa, and bar/lounge. You are also a short walk to some of the most popular destinations around the city. For a non-refundable rate look to spend $185 per night for double beds ($230 with free cancellation). The Coast Coal Harbour Hotel by APA is another perfect match for your group. This 4 star hotel features 220 guestrooms and has an on-site restaurant, fitness center, outdoor pool, and free wifi. 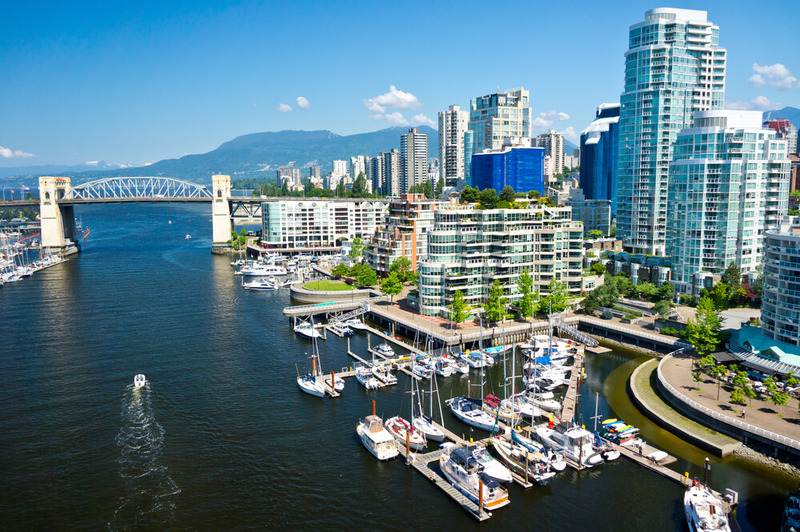 You will be located in downtown Vancouver but will be about a 30-minute walk to Granville Island. 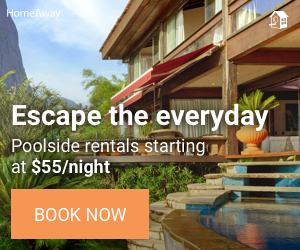 Look to spend around $160 per night (non-refundable) or $180 (refundable). If money is not an issue with your group, you should look into renting this Luxury Downtown Penthouse that sleeps 6 adults. This place is really unbelievable and includes two floors including a private rooftop which has a dinner table, fireplace, jacuzzi, and views of the city and mountains. At a cost of $618.00 per night it maybe a little steep, but this condo has absolutely everything you will need to make the weekend amazing. It is also located downtown which means you will only be a short walk to some of the best restaurants and bars. This 7 bedroom 2 bathroom private home sleeps a total of 14 adults and is about 2500 sq feet in size. The house includes a full kitchen and dining room and gives you plenty of room for those late night chat sessions or making some bachelorette party drinks before heading to the bars. The price per night is $325.00 and the house is about a 10-minute walk to the Sky Train which will take you right into downtown Vancouver. This stunning 5 bedroom 2 bathroom designer home sleeps a total of 8 adults and is 2,000 sq feet. The house also features a gourmet kitchen which opens up to an outdoor deck with table, umbrella, and BBQ. The best part of this house is it’s located only a 5 minute walk from all the bars and restaurants downtown, which will make it easy to get back and forth (no cabs required). Expect to pay about $394.00 per night which isn’t that bad if you have a group of 8 women ($98.50 per person per weekend). This house does have a 2-night minimum stay requirement. If you have a larger party you should definitely consider this Private Home that includes 5 bedrooms, sleeps 14 adults, and has almost 25000 sq feet of living space. It is basically two units in one house, with a kitchen in each unit. Add two bathrooms to the mix and only an 8 minute walk to the Sky Train, and you will see why other groups love this house. Expect to pay around $333 per night for this house which includes both free parking and wifi. The best time to travel to Vancouver would be in the warmer and drier months of April through October. Expect to pay higher rates for hotels and airline tickets as this coincides with their peak season and is the busiest months of the year. The beginning of November is when prices will start to drop as the rainy season and colder temperatures begin to arrive. This is the time you will get your best rates for hotels and flights and will also have less crowds around the downtown area. If you really don’t have the money to go but don’t want to miss the party of a lifetime, look into getting a cash advance to pay for your trip or sign up for a rewards credit card which will give you points you can use for free flights, hotel rooms, dinners, ridesharing services, etc. The worst time to head to Vancouver would be middle of November through March. This is the rainy season where you will have much more gloomy days. Prices will be low for hotels and flights as this time as this is considered off-peak travel time. It is very unlikely you will see snow in Vancouver as it tends to be the mildest part of Canada. There will still be other tourists around, as Vancouver is open for business all year long. Vancouver Craft Beer Week, which usually occurs in the beginning of June each year. It features over 400 beer samples from over 100 breweries and is the largest craft beer festival in Canada. 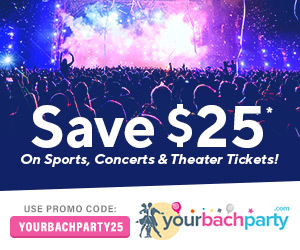 Expect to pay between $35-$40 per ticket, with an additional $2.00 per sample (or one token). Vancouver Wine Festival – Nothing goes better together than a bachelorette party and wine. Heading to this festival is exactly what your group needs to get the party started. This event usually happens towards the end of February and the beginning of March and is held at the Vancouver Convention Center. Tickets for the International Festival tasting (which includes unlimited samples of wine and food!) will cost about $89-$99 depending on how far in advance you purchase them. Depending upon the time of year you go, will determine what you should pack in your suitcase. If your trip is happening in June – August, expect to find temperatures around the 60s. The coldest months of the year tend to be December and January, where it can get as low as 39. Bathing Suits – if your hotel or rental house has a pool you want to make sure you pack a few bathing suits for the trip. Sunglasses – you can not go wrong with sunglasses, as more than likely you will encounter some sunshine on your trip. Clothes – depending on the time of year you will want to pack a few jackets, sweaters, and boots. If you go during the colder months you will want to purchase some gloves, a hat, fleece lined leggings. We recommend either shopping at Kohl’s or if you are going with a higher level of brands Lord & Taylor or Macy’s. Jewelry – If you are setting up a fancy dinner one night you will want to pack some of your nice jewelry, just make sure you put it in a safe place upon arrival. Chapstick – change in temperatures, air, or elements can always dry out your beautiful lips, make sure you pack a few of these to keep your lips for peeling. Vitamins / Medicine – Make sure you bring all your multivitamins, birth control, xanax, zoloft and ambien. Below is a sample itinerary, assuming this is a Friday – Sunday bachelorette party. Friday – start off by checking into your hotel or rental house, then head over to the Twisted Fork Bistro from some Eggs Benny and Mimosas. After brunch head over to Stanley Park for some afternoon exercise and sightseeing. Get back to your hotel or rental home around 6pm to allow yourself some time to take a nap and get ready for the evening. You can make some bachelorette party drinks while getting ready for Friday evening. Take a walk or taxi over to Miku Vancouver for an amazing fresh fish/sushi dinner. After dinner finish off the night at UVA Wine and Cocktail bar, or take in the “Lost Souls of Gastown Tour” before heading home for some after hours drinking and hanging out. Saturday – rise and shine. Go over to Catch 122 for Brunch. Nothing like a good frittata to help with your hangover, unless you remembered a hangover kit. After brunch get some hop and go ferry passes for the Granville Ferry and explore the various stops along the way. Don’t be afraid to have a few drinks and small bites at the many restaurants along the way. Head back to your house or hotel and play some bachelorette party games while getting ready for the evening. Since you will be going to West Restaurant for dinner make sure you have your sexiest outfit ready to go. After eating some amazing crispy duck salad it’s time to either head to the dinner show at Kitty Nights or you can just sip on some amazing craft cocktails while people watching at Keefer Bar. Sunday – depending on when your flight leaves, you should have enough time for one final brunch with the girls at Chambar Restaurant. 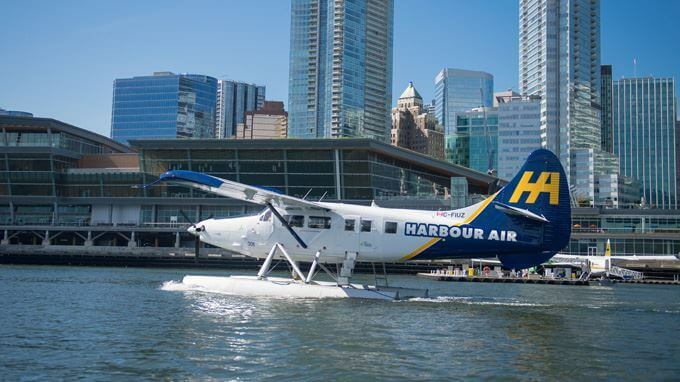 If time permits you can then head to the downtown harbor where you can take the 30-minute seaplane tour, which will provide amazing photos for your facebook or instagram account. Then back to the house or hotel to pack all your things and off to the airport. The memories from this bachelorette party will last a lifetime. You simply cannot have a successful bachelorette party without requiring the entire party wear custom-made shirts for the occasion. We recommend using etsy.com where you can select from dozens of pre-made t-shirt designs for your girlfriends or you can just design one on your own. You never know when weather, a job issue, or illness can happen. You need to protect a large investment like this vacation, especially since you will be required to book flights and put a deposit down for a house or hotel well in advance of your arrival. You can get a full travel insurance policy which covers everything from your personal belongings to your flight, hotel, and rental house. It will even cover medical expenses that may occur while you are on vacation. For as little as $35.00 per person you can work this into the final cost and have no worries down the road. If you are traveling to Vancouver in Canada from the United States. You will be required to present a valid U.S. passport, passport card, or NEXUS card. For entry back in the U.S., you will be required to present a U.S. passport book. To sum this up it basically means you will be required to travel with a valid passport. Read here for more information on how to obtain a passport for your Vancouver bachelorette party. If you are running out of time and need express passport service, we recommend Fastport Passport for both new passport requests and to renew an expired passport. 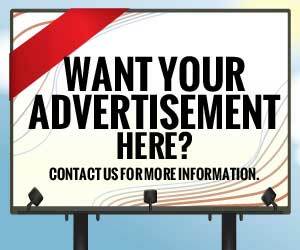 They offer next business day service for $399.00. Yes, you are going to Canada which means you will have to convert your money from USD to CAD or at the very least know the exchange rate so that you don’t get ripped off. The best bet is to put all of your purchases on your credit card as most rewards cards do not charge a foreign transaction fee.